The third round of the Blancpain Sprint Series is up next for Jazeman Jaafar with the young Malaysian heading to Nurburgring circuit in Germany for this event. 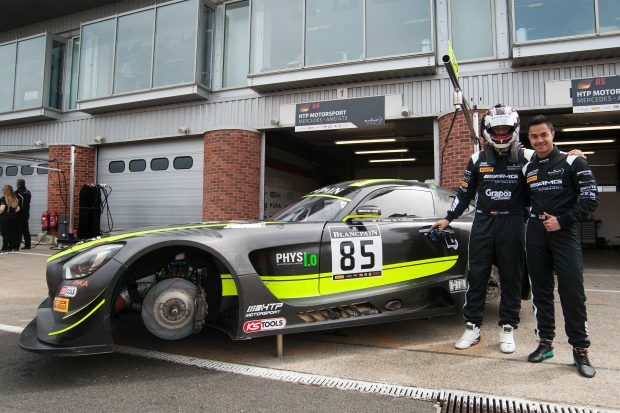 The weekend, with two one-hour races, complements Jazeman’s Endurance Series campaign, with the 23-year-old also piloting one of HTP Motorsport’s AMG Mercedes GT3 in this championship, although with different team mates. Jazeman rejoins Austrian Clemens Schmid in the #86 car, competing in a field of 37 GTs. Nine manufacturers are represented in this weekend’s race, with the Sprint Series making its first visit to the German track. After a retirement for Jazeman at last weekend’s Blancpain Endurance Series race at Paul Ricard in the South of France, the Malaysian is looking for his first sprint race win. In the afternoon is at 13.50. Saturday morning features qualifying at 09.00, with the qualifying race at 13.45. The main race is on Sunday at 14.45. Both of the races will be shown live on the Blancpain GT Series website and will also be available on Eurosport Asia, check listings for times.